CDE Software, a Seattle, WA based company, is the undisputed industry leader in competitive bowling software and the developer of BLS, BTM and TBRAC. CDE Software strongly believe in the future of competitive bowling and are poised to work for proprietors and the millions of league and tournament bowlers around the world by focusing on product innovation to protect and grow the sport. CDE Software formed in the early 80’s in Los Angeles, initially developing a checkbook financial program, “Checks and Balances” that was a forerunner to Quicken. In 1989, founders Patrick Lajko and Ray Yokoyama saw a niche, taking Patrick’s love of bowling during his youth and expertise in computer software, to develop the BLS Bowling League Software. CDE Software moved its offices to Seattle shortly after launching BLS, where it remains. Over the years, CDE’s Bowling League Secretary (BLS) has evolved into the premier league management tool. In 1994, CDE began integrating with electronic scoring manufacturers, of which QubicaAMF was one of the earliest partners. Other areas of expansion have been tournament and bracket software along with kiosk software and bowling clipart. On October 31, 2016, QubicaAMF acquired ownership of CDE Software from founder Patrick Lajko’s family trust. CDE was founded by Patrick Lajko, an industry veteran and visionary, and is known worldwide for BLS (Bowling League Secretary), the industry standard in League Software. 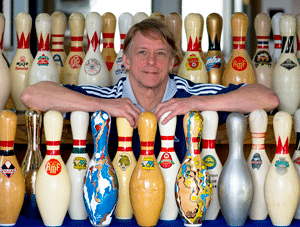 Over the last four decades CDE, developing and marketing leading applications such as BLS, BTM and T-Brac, has become the undisputed industry leader in competitive bowling software. QubicaAMF and CDE strongly believe in the future of competitive bowling and are poised to work together for proprietors and the millions of league and tournament bowlers around the world by focusing on product innovation to protect and grow the sport. 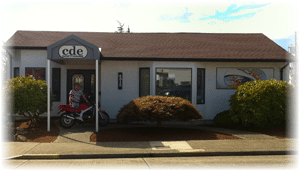 CDE will continue to operate out of its Seattle facility with its current employees. Lance has been promoted to President of CDE and is a co-owner of CDE. Lance will continue to lead CDE going forward as he does today. Customers can expect business as usual in terms of support and continuity of service. CDE Software will remain the industry standard and continue to support all scoring manufacturers, bowling centers and consumers as it does today. Since inception of USBC, CDE Software has been the only league and tournament software company represented at the annual USBC National Convention, taking the time to speak with its many customers face-to-face, getting feedback on product features needed to keep our products focused on the needs of the bowling community. CDE has also been a longstanding BPAA exhibitor at the annual Bowl Expo convention, exhibiting for over 20 years. CDE Software not only emphasizes its own products, but also on general education. CDE has always been dedicated to helping bowling proprietors and bowling associations get more comfortable with CDE’s products as well as computers in general. In 1994, Heddon Bowling Services became the first company to strike an agreement with CDE to provide a special edition of the software to allow rosters to be exported to the automatic scoring system and scores imported. CDE Software still maintains a leadership role, by providing interfaces to the majority of automatic scoring systems, including QubicaAMF, Brunswick, Steltronic, Purrfect Desk, Twelve Strike and AK Microsystems. In 1994, the Young American Bowling Alliance (YABA) officially endorsed CDE’s “Bowling League Secretary” program, marking the first time a national bowling membership organization has offered such recognition. In 1997, CDE moved to its current offices to meet the growing demand for its products and services. CDE also expanded its line of products to include multi-event and single tournament management software, brackets and side pot management software, bowling graphic clip art CD-ROMs. In 2005, CDE added support for the new United States Bowling Congress (USBC) as well as the Canadian Tenpin Federation (CTF). In 2006, CDE Software becomes the first and only bowling league and tournament software exhibitor at USBC Inaugural Convention. In 2006, CDE becomes the first league software to support the uploading of league standings and statistics to both LeagueSecretary.com and SportBowling.com, a USBC official website. In 2007, CDE Software became the first league software to add support for the TNBA bowling organization. In 2009, CDE Software became the first league software to add support to BPAA’s Web Services. In 2013, CDE Software introduces first league software compatible with Twitter and Facebook. In 2013, CDE Software introduces first league software compatible with Dropbox. 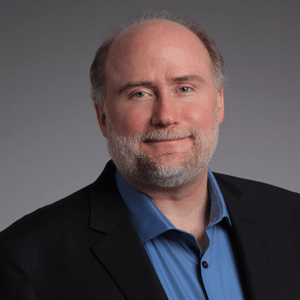 In 2014, Lance Rasmussen assumed operations of CDE Software. Lance has been with the company for over 20 years. In 2015, CDE Software celebrated USBC’s 10th year at USBC Convention in Omaha, NE. In 2016, QubicaAMF acquired ownership of CDE Software from founder Patrick Lajko’s family trust. CDE Software, a Seattle, WA based company, is the undisputed industry leader in competitive bowling software.